Three African rhinos have been poached every day for the last five years, and last year alone, over 1100 rhinos were killed in Africa. Further bad news is that after Sudan, the last northern white rhino male was euthanised due to an age-related illness, there are now only two non-breeding females, making this sub-species of the white rhino functionally extinct. But silver linings do appear in this otherwise tragic wildlife story! Conservation operations in many countries across Africa continue to actively fight the war on poaching and there have been successes. Despite poaching, the critically endangered black rhino population has seen a significant increase from 2,300 in 1993 to over 5,000 today. 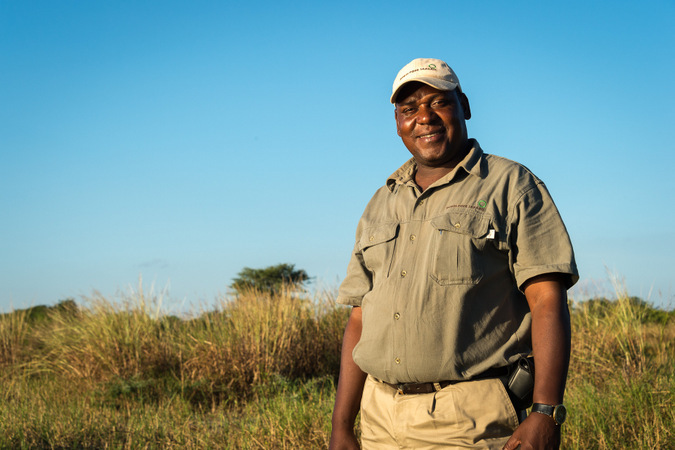 Often supported by government departments and law enforcement agencies, those on the ground, like bush guides, contribute to the protection of rhinos in Africa. 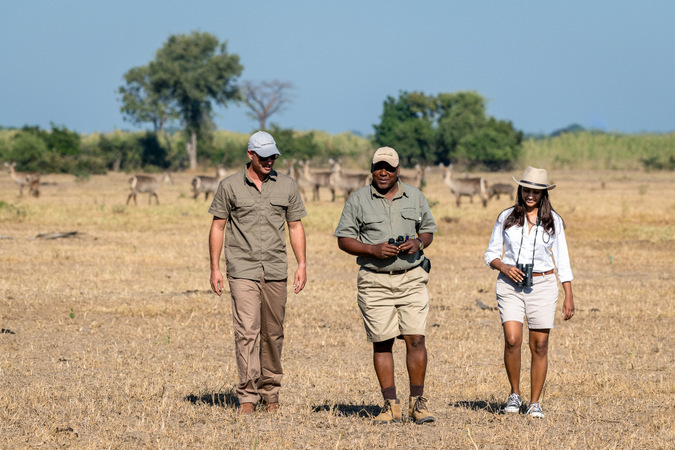 One such guide is Stanley Phiri, who has almost a decade worth of guiding experience and has most recently joined the team at Kuthengo Camp under Robin Pope Safaris in Malawi. As World Rhino Day approaches on September 22nd, he reflects on his encounters with rhinos, the impact they have had on him, and why conservation of this magnificent animal is so important. 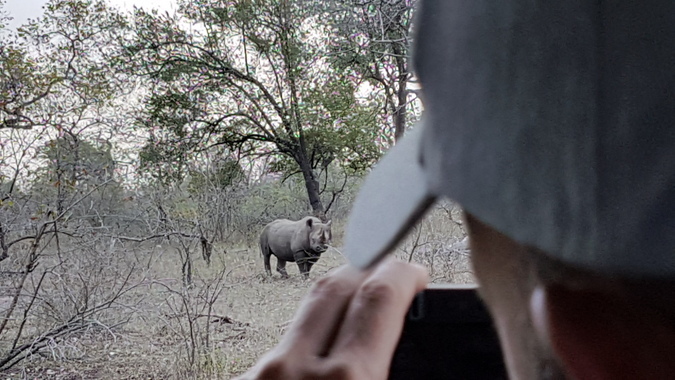 What have been your best rhino sightings? 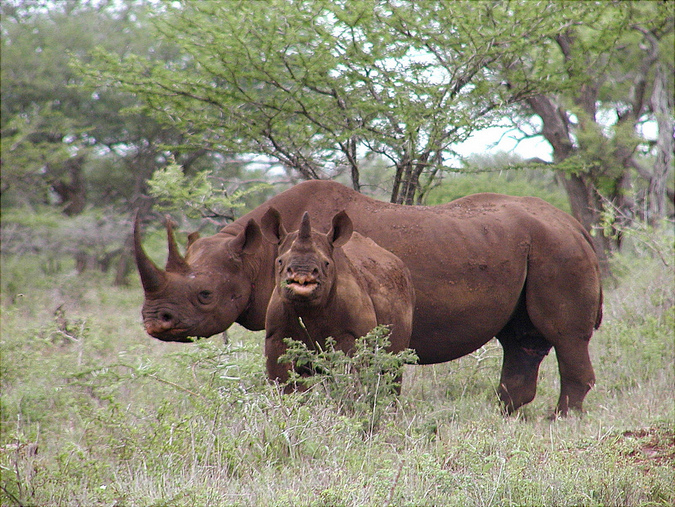 In 1998 and 1999 I was a tracker for African Parks and had fantastic encounters with rhinos. 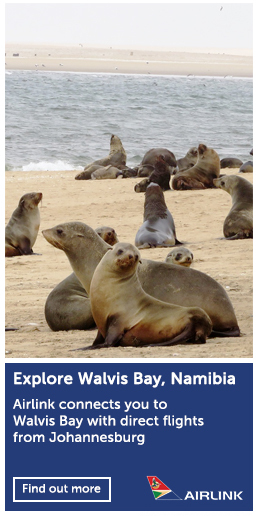 One sighting was of a male, female and their baby, which we had been tracking on foot early in the morning. We became excited when we came across fresh spoors, so we continued to track them until we spotted them at a watering hole. They were wallowing and playing in the mud, after which they began scratching themselves on a rubbing post. But once they caught the scent of us, they moved into the thicket to carry on their day without any spectators. Another time, we were once again tracking rhinos on foot. All of a sudden, we looked up and saw rhinos out of the blue! They got as much of a fright as we did and began charging us. We had no other option but to run and climb up the nearest tree. We hadn’t seen their spoor as we were in the long grass. Although everyone was a bit shaken up, no one was injured, and the rhinos eventually moved off. What have you learnt about rhinos? What can they teach us? They are aggressive and nervous when you meet them on foot, but are calm when you are in the vehicle. They can teach us that in life being calm and being surrounded by a peaceful atmosphere is better than being stressed. If we keep to ourselves, we – and the rhinos – will be happy. From your personal experience, can you tell us what makes rhinos such special animals that deserve to be protected? Rhinos’ behaviour is unlike any other animal. They are secretive and keep to themselves, only really being active during dusk and dawn. Unfortunately, they are not only a rare sight because they are shy but also because they critically endangered. And of course, rhino babies are the cutest of all baby animals! 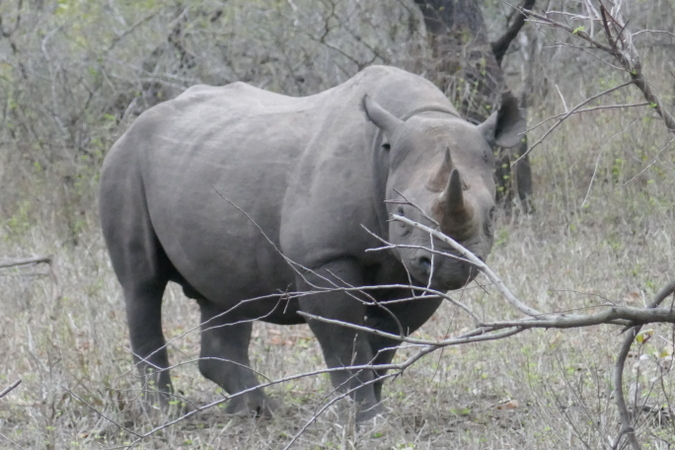 What do you believe is the key to conserving rhinos in the long term? If we need to preserve the habitat of rhinos, we must prevent bushfires and minimise any other disturbances to their habitat. With poaching being such a terrible problem in Africa, we need to safeguard the survival of rhinos by increasing the number of armed guards. When poachers and traffickers are arrested and found guilty, stricter measures need to be taken to punish them. It’s important for the surrounding communities as well as the visitors to the game parks to be educated about rhinos so that they understand why they are such treasured animals. What positive conservation efforts have happened where you work? African Parks have created a rhino sanctuary where the rhinos are kept and are fitted with tracking devices in their horns. They are also bringing in more rhinos so that they can reproduce and broaden the bloodline. New policies regarding poaching and punishments have been revised by the government in Malawi.